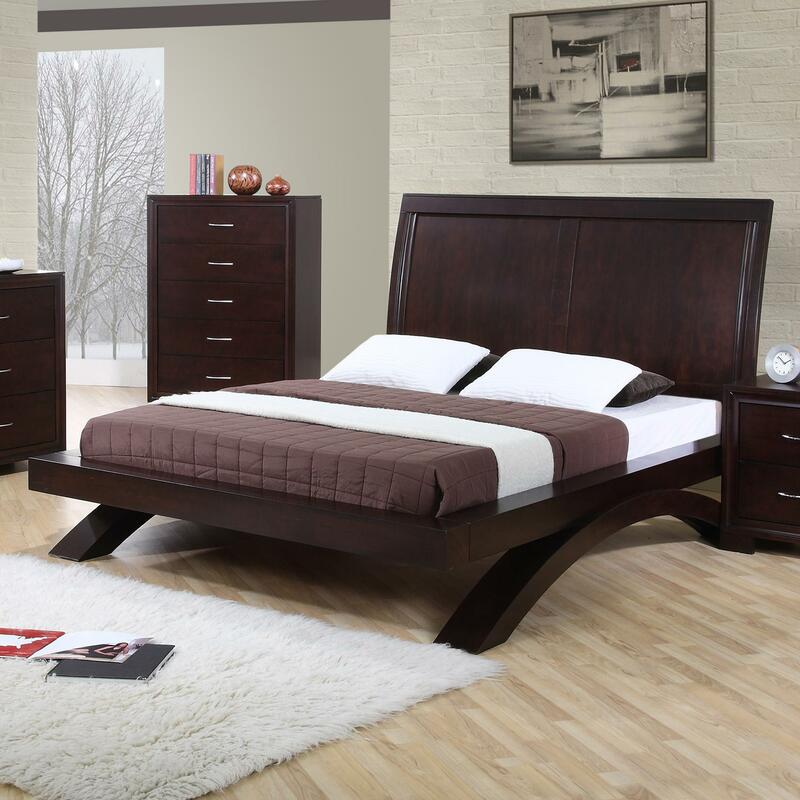 Keep it simple with this great looking contemporary platform bed. 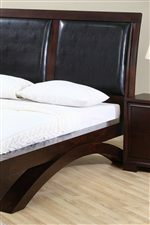 The dark finish over the solid hardwood construction complements the dramatic style of the curved base. This bed is available in queen and king sizes. 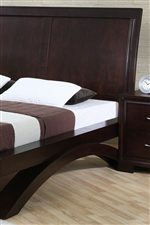 The Raven King Contemporary Platform Bed by VFM Basics at Virginia Furniture Market in the Rocky Mount, Roanoke, Lynchburg, Christiansburg, Blacksburg, Virginia area. Product availability may vary. Contact us for the most current availability on this product. The Raven collection is a great option if you are looking for Contemporary furniture in the Rocky Mount, Roanoke, Lynchburg, Christiansburg, Blacksburg, Virginia area. 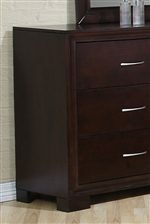 Browse other items in the Raven collection from Virginia Furniture Market in the Rocky Mount, Roanoke, Lynchburg, Christiansburg, Blacksburg, Virginia area.